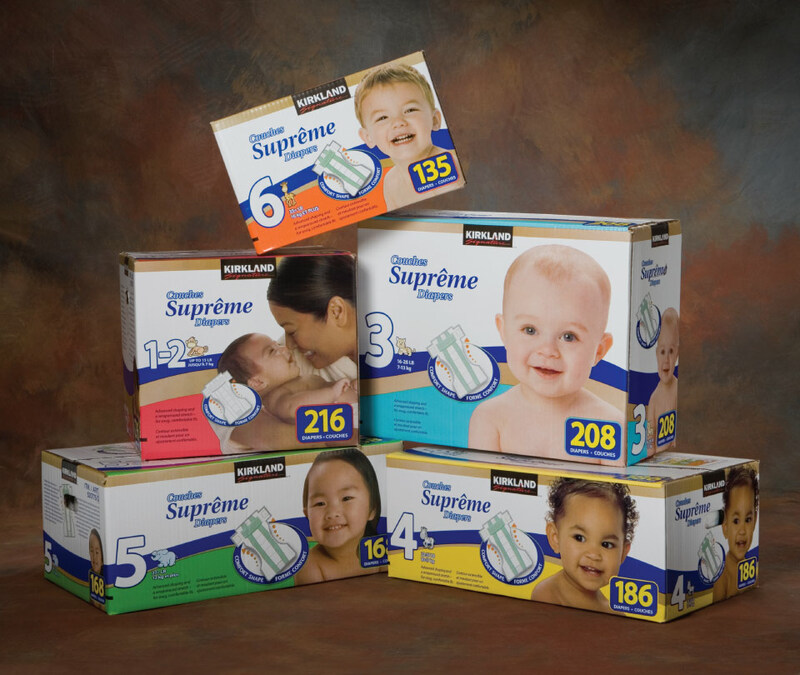 Costco’s private label Kirkland Signature needed a series of packages designed for the launch of its Supreme diapers line. The design approach needed to be appropriate for the target audience of parents of young children while also ensuring that the design would appear child-friendly. The design solution features large photos of infants and toddlers in order to instantly communicate the age range of each diaper size. The use of distinct colors also distinguishes each package while unifying the packages through a range of bright colors. The design was field-tested using mock-ups of the packages in order to evaluate the effectiveness of the design. A final design concept was then selected before extending the design to the entire line of packaging.